Ilan Samson is a mathematician and retired traffic scientist who has worked with traffic systems in London and Tel Aviv. 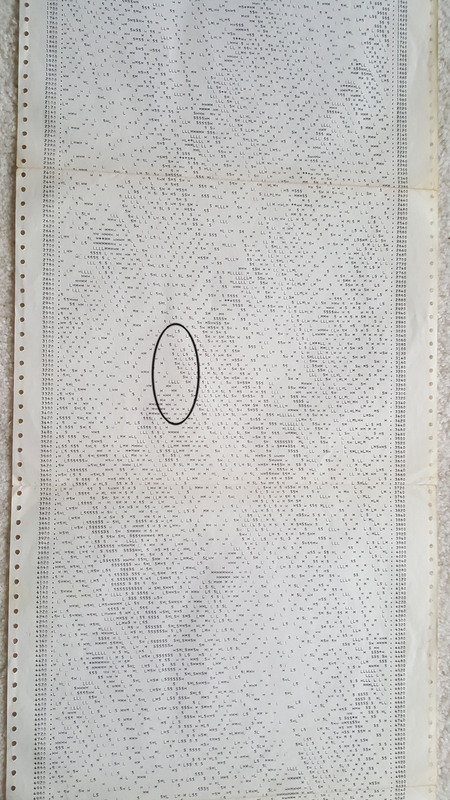 He wrote one of the earliest car-following computer simulations: 1965, with IBM punchcards and tractor-feed paper, in FORTRAN on a CDC mainframe computer! Understanding correctly why the stoppages form, and thus determining what drivers need to do to prevent the stoppages. As what they need to do is very counter-intuitive, a way must be found to convince them to still try it out. Conduct the entire process in a manner that leads to the sustenance of the cure. With familiar flows, as the demand i.e. 'pressure' grows, the flow (rate) increases, either indefinitely or up to a sustained limit. In contrast, with traffic flow, as the 'demand' grows, initially the 'supply', namely the flow (rate) increases too, but only up to a limit beyond which the possible flow not only ceases to grow further but actually decreases again - to near zero! It follows that there is some maximal demand which must not be exceeded, because if it does, not only can the additional cars not make it through, but even the flow that was already possible, is not possible anymore, and so the cars just 'pile up' into a car-park. In car-traffic, 'demand' is embodied in the density of cars i.e. number of cars present on a given length of road. So, there is a density of cars that must not be exceeded. The only way drivers can control the density is by the gaps they keep from the car in front . B. Refraining from driving right up to the leading car is highly counter-intuitive, but drivers must overcome this urge in order to sustain the maximal possible flow and prevent it from collapsing into a stoppage. Past attempts to get drivers keep away from the leading car (mainly for safety purposes) have generally been unsuccessful. "Cars never go exactly at a constant speed - occasionally the car in front slows a little. To avoid hitting it, you slow down too, but with a small unavoidable delay- of taking note and taking action. During this delay you are moving faster than the car in front, with the gap closing too. So, you have to decelerate more intensely than the car in front did. The same happens to the car behind, having to brake even harder than you, etc. i.e. each driver braking harder than the one in front. Eventually some car upstream will brake hard enough to stop altogether -and so will, necessarily, all the cars behind it. This is how most jams come about - no lights, no accident, no road works (imagine), not even a cop. The only way to prevent this situation is by following sufficiently far away so that without substantial slowing you are still away from the car in front by the time it has picked up again. In other words, the gap that feels artificially large 'absorbs' the temporary disturbances in front and does not transmit backwards in a progressively amplified way (that eventually results in a stoppage). Mainly, when drivers find themselves removed from the car in front they should refrain from driving up and close the gap". It helps to draw attention to a similar situation with which most drivers are familiar and actually handle correctly: being some distance away from a red light, holding back rather than rushing to join the queue, often by the time you there the light changed, thus avoiding stopping completely. So, by forcing oneself to keep the unnatural gap, you and everyone else actually get home earlier. MOTTO: " PLUG THE GAP AND YOU PLUG THE ROAD "
C. The above needs to suffice only for convincing drives to try it out on the next opportunity. However, it will work only if many drivers in some locality do so simultaneously. It actually suffices that only a fraction of drivers carry out this 'restraint', but the others need to know why this is done so they do not harass the 'decongestors'. Therefore, the above 'teaching' needs to be communicated simultaneously to a large number of drivers of some region, so that, shortly after, they try it out. As the conveyance would benefit from some graphic aids e.g. aerial footage of denser traffic etc. it should be done by either a local television broadcast and/or directed emailing originating from a trusted authoritative source. Once drivers find that it actually works, namely less stoppages, they will persist, and the news (and the process) will spread like fire. Of all the major problems this seems like one of the easiest to tackle. Note: (as often overlooked in traffic management-) it is the gap that drivers need to aim to sustain, not a given speed.